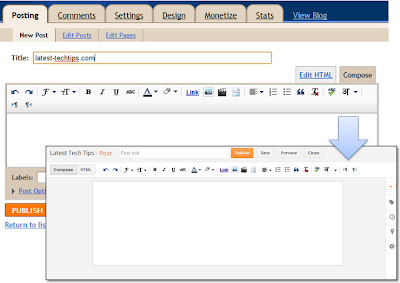 Home Blogger Tricks REVIEW: Blogger Gets a new UI and some very good new Features. 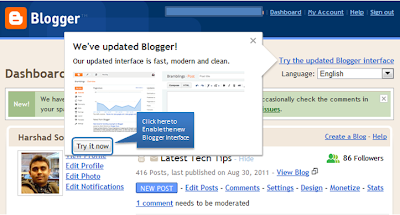 REVIEW: Blogger Gets a new UI and some very good new Features. In the quest to give its content publisher a better User Interface and make it more user freindly, Blogger has come up with a new UI for Blogger content publishers. You can switch to the new Interface by simply clicking on the Try Now popup which appears or the hyperlink on the top. The New UI is refresh free and is made up of the same technology which Blogger had earlier rolled out for Dynamic Views. I found some of the features in the new UI adding more value than earlier interface. Below is a list of enhancement. 1. 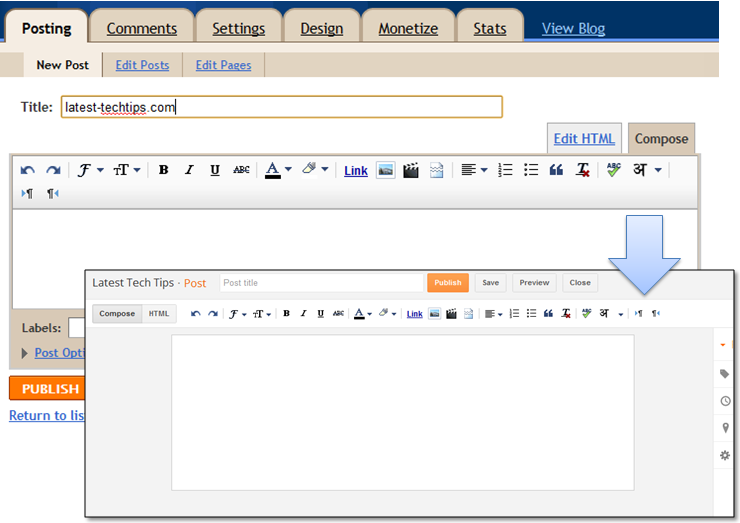 New Interface for publishing your posts. The new interface looks cool but has the same buttons. No added functionality only the UI has been made more attractive. It would have been lot better if Blogger had added features like Perma link, Format Painter, Post background color etc to add more value. 3. Single Click Comment Publishing. Now your page does not get refreshed once you publish your comments. This is a great value addition as the earlier UI had no such capability. To check the count simply go to your published posts in the new UI and check the right corner of each published post. You will see a small graph and a count there, which will indicate the total counts for a particular post so far. This can help you understand which is your latest post which gets most traffic. Last but not the least if you wan't to stick to the good old UI you can switch back anytime. I am not sure how long will the Blogger service keep the old UI in service but you can certainly use it for fair amount of time as these switches don't happen over night, it took twitter months to get rid of its old User Interface. But its always a good idea to go with the changing times and adapt to the latest.